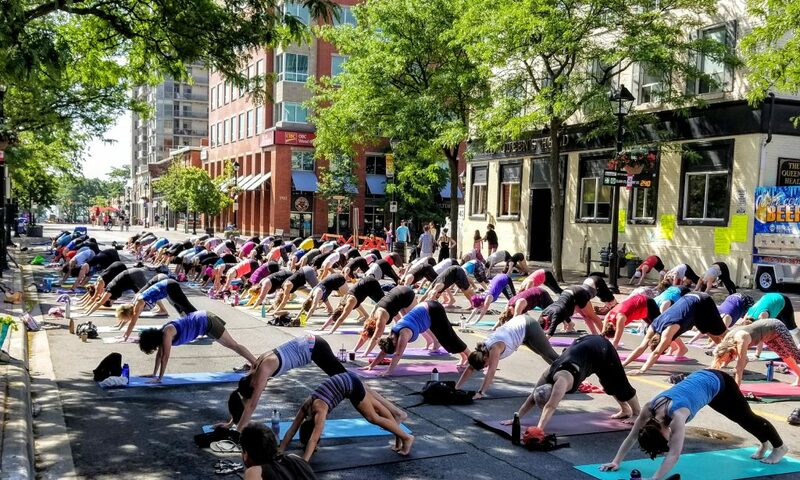 From 10am to 11am, Erinn led us (these eager yogis on a very warm, humid summer morning), through downward dogs to warrior poses, all the while immersing ourselves in the love and beautiful energy of the moment. We love Erinn! It was so powerful and so much fun. Kelly’s Bake Shoppe was kind enough too to give every person who attended a Unicorn Cupcake. You don’t want to miss the next yoga event held by Erinn. Stay tuned and subscribe to our newsletter so that you don’t miss out. 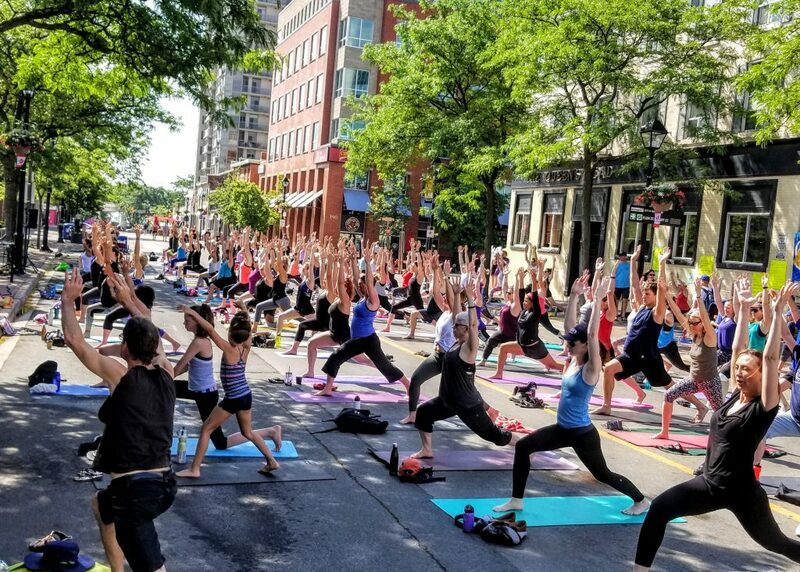 Watch our video of Erinn’s STREET YOGA Sunday, June 18, 2107 (this awesome morning), created by Spanky Dog productions. Our hearts are heavy with sadness but we know that the future of our planet is in a better place.